The default plot method for dataframes in R is to show each numeric variable in a pair-wise scatter plot. 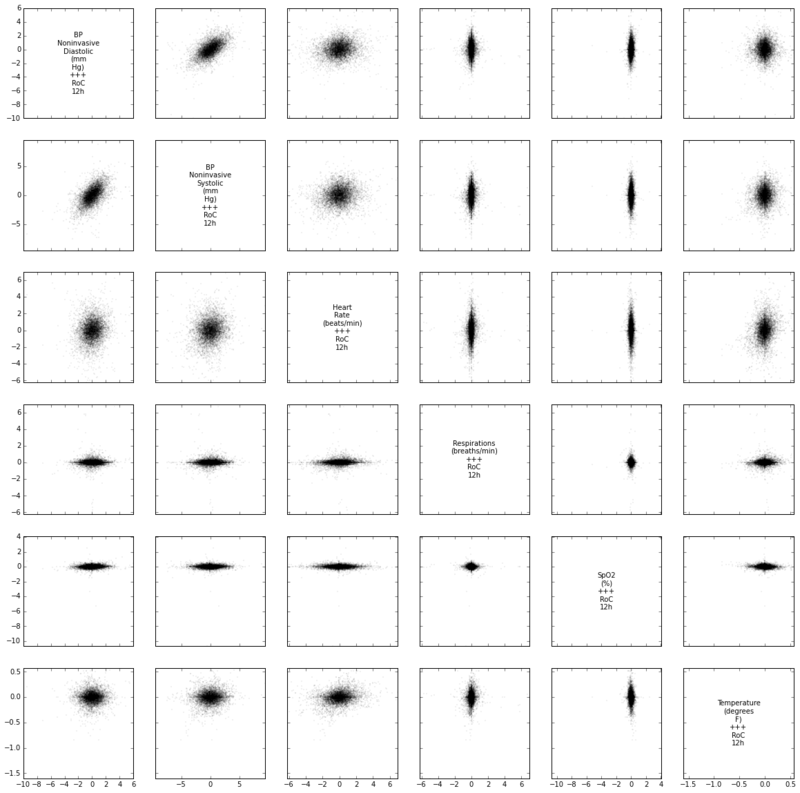 I find this to be a really useful first look at dataset, both to see correlations and joint distributions between variables, but also to quickly diagnose potential strangeness like bands of repeating values or outliers. From what I can tell, there are no builtins in the python data ecosystem (numpy, pandas, matplotlib) for this so I coded up a function to emulate the R behaviour. You can get it in this gist. Here’s an example of it in action showing derived time-series features (12 hour rates of change) for some clinical variables.